Anyway, gamers in Japan seem to like this game a lot more than any other regions do for some reason. 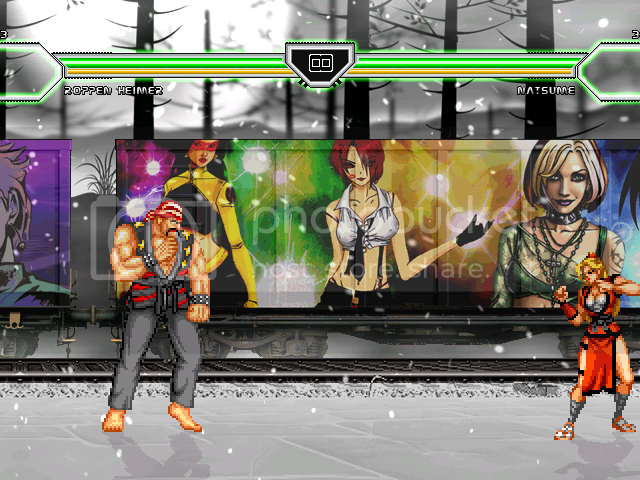 I believe it's more of a cross between Fatal Fury 2/Special and the Art of Fighting series than simply a Street Fighter II rip-off like "Best of Best" from SunA Electronics, because Viccom was SNK's Korean distributor, and Viccom borrowed some of SNK's material to develop this and The Eye of Typhoon. 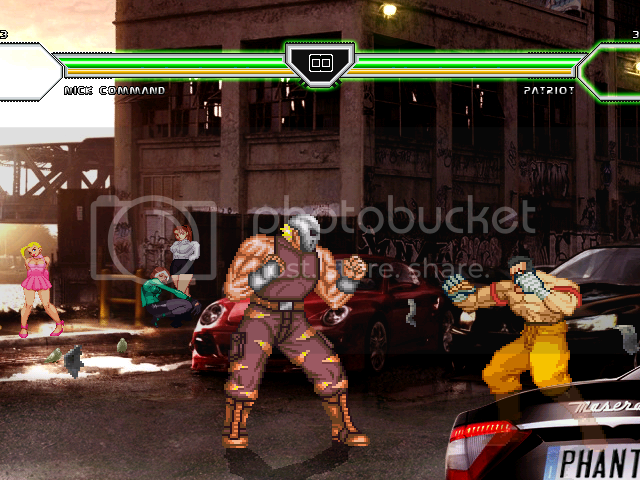 Kim Kaphwan from Fatal Fury 2 and later SNK games was named after Viccom's president, Kim Kap-hwan. Kim Hoon in Fight Fever was named after Kim Kap-hwan's son, Kim Jae Hoon, who later became the president of UnoTechnology (or Unotac), the company that nearly released The King of Fighters Online (or KOFWorld). I'm glad Shimon converted these instead of anyone like sakuraka, who often add annoying stuff to them. Shimon converts them accurately like he/she did with his/her other creations. Well, either there were some other reasons for the name to be like that or he indeed had some typo. A character name could be even way more different than what one could think (or know) that it should be, but better use what's in the def file to classify and name it so it can be found among huge archives and other stuff later... oh well. Great so see new characters not available to Mugen before get released...Thanks Shimon for you ongoing work!! Never heard of it, is it a good fighting game? You've never heard of Fight Fever, because it was rarely seen in Neo-Geo MVS arcade cabinets in Japan and North America, while most gamers consider it to be the worst Neo-Geo fighting game. Some people like merlin196, enjoy playing Fight Fever. I've tested these out a while ago, and the only problems I've encountered are that a couple of Magic Dunker's moves, including his "Wind Storm", don't move as fast as they do in the game, while their AI rarely make them do their "Danger Moves" (similar to the "Desperation Moves" from Fatal Fury 2). While comparing shimon's conversions to the ones in the video, Magic Dunker's "Wind Storm" is a little better, but it moves diagonally, instead of moving forward then diagonally. Nick Commando's name is now correctly spelled. Roppen Heimer has his winning quote at the end of each battle, much like ahuron's Karate Kenji, but with no voice-over. 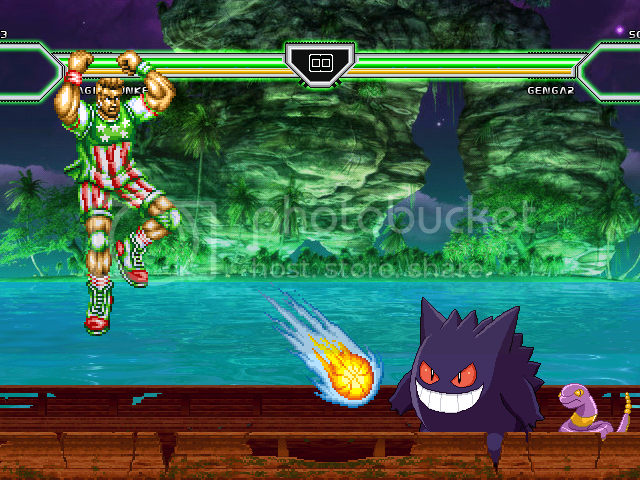 Well I guess it looks like everyone from Fight Fever is in Mugen now.